Best Android Apps for Creating Ringtone lists some useful Apps which can be used to create Ringtone from Songs. Chopping part of songs can be done with many free and paid desktop softwares, however, when there are Best Android Apps for Creating Ringtone are available, it decreases the pain of transferring it to Android device. You can type or copy any name of the Apps listed in this list of Best Android Apps for Creating Ringtone and search it in Play using the Search function. MP3 Ringtone Maker : Millions of popular mp3 ringtones and sounds is available at your choice for free. Set as ring, notification sound, assign to contacts and share with your friends! You can also create your own ringtones from mp3 sound files. 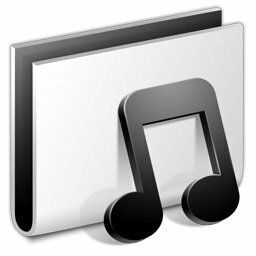 Ringdroid : It’s free ringtone app creates tones, alarms, and notifications from MP3, WAV,AAC/MP4, 3GPP/AMR files you load onto your phone through the SD card or that you purchase through the Amazon MP3 store. Zedge : Free Ringtones, Wallpapers, Alerts, Live Wallpapers & Games. Ringtone Maker Pro Free : The best in the market. Cut and add effect to any sound file to make a ringtone. Ringtone Maker Pro : Ringtone Maker for Androidâ„¢ using your MP3’s and more! Ringtone Master : Let’s you select and set your music as a ringtone. My Ringtone Maker : Record anything and make a ringtone. Record your friends, kids, parents, funny TV or Movie Quotes. We hope you can enjoy some of these Best Android Apps for Creating Ringtone. This Article Has Been Shared 9245 Times! Android OS needs a bit criticism as Nokia’s Symbian was the first Mobile OS which is highly customizable and feature rich. Let us compare two OS – Android and Symbian. Android Wallpaper That Moves On Finger Flick – typically those are supplied along with your Android as Default Wallpaper. Here Is The Full Guide For Creation. WhatsApp uses Extensible Messaging and Presence Protocol, which is an open-standard communications protocol for texting sharing photo, video and audio files. Cite this article as: Abhishek Ghosh, "Best Android Apps for Creating Ringtone," in The Customize Windows, May 15, 2012, April 19, 2019, https://thecustomizewindows.com/2012/05/best-android-apps-for-creating-ringtone/.